Spring Meeting has been and gone I couldn’t make it but time waits for no one, I had a busy weekend down Manchester eating and drinking, watched a bunch of lads kick a ball about and joined in a very good Dolly Parton tribute act, never in my wildest dreams would I have ever thought I would ever be typing that? but you only live once make the most of it. A report will be coming out about the meeting all in due course. I need to play catch up. Looks like the Jubilee Race is on details to follow, there was progress made in the NWHU planning, for the future, yes, we are looking to the future there are challenges and opportunities ahead, we realise we must change if we want to move on. The union’s web site is continuing to develop; it needs users so check it out www.NWHU.co.uk. One addition that could prove useful to fanciers is the forum it’s there for you the members, you can put results, articles start topic’s catch up on news etc. As with these forums there will be guidelines. Remember to be respectful of others abuse and discrimination and cyber bullying in-fact it’s a big no, no to any type of bullying, these things will not be tolerated. Open to suggestions for improvements / additions (remember it’s got to be respectful appropriate for all ages). What’s your burning issues? Tips? Money saving ideas? Get them on there. New addition to the site will be useful links for race or training day it’s been started with a few links but if you know of any others that could be useful to the fancy please suggest them now we can’t put hundreds of links on but can have a look at some and include if appropriate remember these links are aimed at race or training days. John Snowdon – President of the Confederation: I had a good discussion with John that was both every informative and enlightening about the confederation. He also offered me some good advice which was, very welcomed thankyou John. 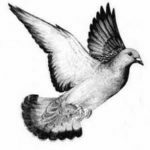 He also mentioned it was NEHU – centenary this year what an achievement, what a rich history of racing pigeons and master craftsmen of racing, I was always told growing about the quality of fanciers’ birds and the massive birdage’s it was mind blowing and it still is. I had a talk with David Bridges President of the RPRA: It was a good open and frank discussion with David, initially it was in response to an email I received from him, mainly about the NWHU listing full communications between the NWHU & RPRA. We covered a number of subjects and areas. Both of us expressed our concerns at the current challenges facing both unions and the sport in general. We also discussed negotiations and I must admit I expressed my disappointment that I believe the RPRA council had been informed that these had failed when to us in the NWHU they were still on-going. It was hoped that the RPRA and NWHU could continue negotiations after the RPRA representatives had reported back to council at their AGM. The NWHU after its management committee meeting in early February had been prepared to reach agreement on a number of items and issues but understood that the RPRA representatives needed time to report back to their council and act on their deliberations. I was more than a bit bemused and disappointed for the sport and our joint members at their reaction. It was however good to talk to David who has a difficult job on his hands as we all have at present now, I’m sure we’ll talk again over the coming weeks / months for the benefit of our members and the sport. Timeline – Substantiation you make your own mind up. In my professional line of work timelines are very important another aspect that is very important is auditable trails and substantiation. Oct 2018 at an RPRA council meeting it was claimed strays were an issue with regards reporting of NWHU rung birds – no word to the NWHU prior to this claim being printed nor any supporting substantive information made available. Dec 2018 NWHU instigated a meeting with the RPRA for Blackpool to start talks to try and sort out discord between the two organisations. The subject of stray’s and stray reporting was discussed, with the NWHU requesting additional information (please refer to the notes of that meeting as published in this weekly and on the NWHU website) there wasn’t any information made available or indication of numbers, areas etc? no data presented or offered during these discussions. Now if it was such a problem it may be naive, but you would assume there would be some substantiation available leading to the claim. Minutes of the Blackpool meeting where issued to RPRA for comment / feedback at the beginning of February 2019 where it was clearly stated the NWHU had asked for supporting information on strays again no feedback was provided, no substantiation offered. End Feb 2019 and the RPRA AGM where a summary of the Blackpool meeting was provided again was there any supporting data available as requested by the NWHU? The out-turn seems to be a scheme for NWHU ring registration and levy fee passed at council? again was there any substantiation presented to council or to the RPRA’s own membership prior to demanding this ring registration and levy monies? There was a distasteful attempt at linking the NWHU and its members the same members that by the way are dual members with the RPRA as not being concerned with the welfare of the birds when reported? But still no substantiation offered. There have been statements made about facts that the complaints received by the RPRA during 2018 related to NWHU rung strays and no other unions? But no substantiation made available? Officials of the RPRA have quoted on social media “the original members would not have been punished” (they are also RPRA members if they must register their rings and pay the levy so its actual punishment of the RPRA’s own members), all this without substantiation? Now that’s a long timeline from Oct 2018 to now the end of March / early April 2019 and still no supporting data, considering it was such a big problem that resulted in the RPRA council taking the action it has and no data available, information that you would have expected to be to hand when the subject was first discussed? Now how much trust would you now offer to any data or substantiation offered? Well that must be down to you as individuals to decide. Important Notice: The RPRA’s demand on its membership for the registration and Levy scheme for NWHU rings is not a transfer scheme nor is it proof of ownership: transfers and proof of ownership can only be enacted / obtained from the NWHU as the issuing union. The NWHU has as its moto for the fancier by the fancier and finds it difficult to understand why some find it unacceptable to provide open communication that keeps you the members and fancy informed of issues that impact the members. There is on the NWHU website a Revised and updated file of the communications between the NWHU and RPRA relating to negotiations and other issues. Please note that once it came to light that the NWHU followed up and actually printed the communications in full then the pleas that no permission had been given to print the full communications, but an overview would be acceptable was received, being ever respectful of the wishes of others the NWHU has done its best to provide such overviews. Just to clarify the NWHU’s full communications are available in these files on its website and overviews relate to the emails received from the RPRA. What would the Cynic Say? Now if you remember in the last report, I was going to let the Cynic have their say but not sure they can be trusted just yet however they will start putting things on the NWHU’s website forum. Copyright © 2019 North West Homing Union. Powered by WordPress. Theme: Spacious by ThemeGrill.